Hey girls, I am sorry for being MIA for almost a week now. I will reveal the reason very soon on my FB. But by this time a lot of things have been happening. 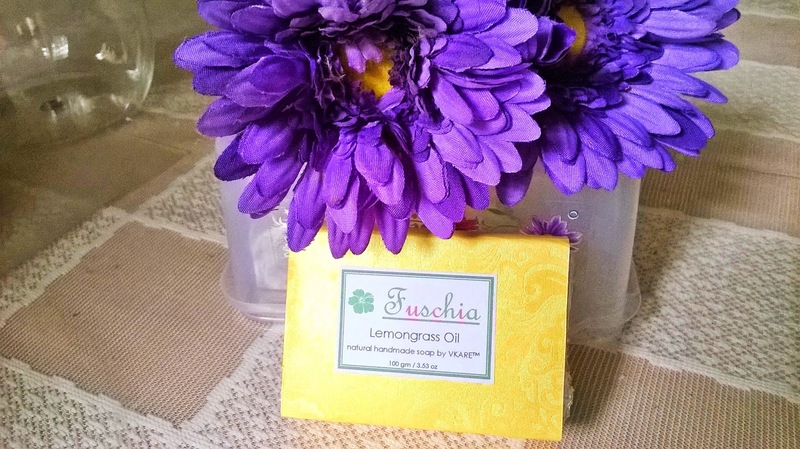 I got some serious love from Fuschia- Natural Handmade Soap Range. 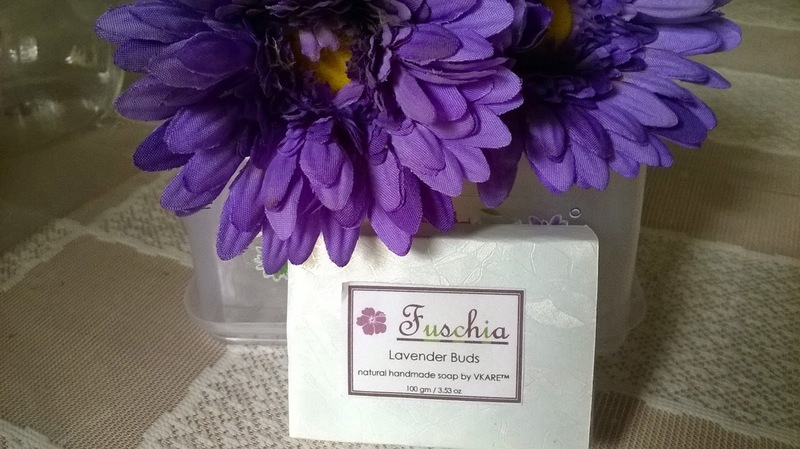 Fuschia -Natural Handmade Soap Range is a venture of VKare Biosciences. VKARE BIO SCIENCES Pvt. Ltd. covers the area of Healthcare and Biotechnology. This means collaborating in an efficient, transparent and flexible way to help clients find answers and results they need. Their core philosophy reflects in their motto “We Care”. 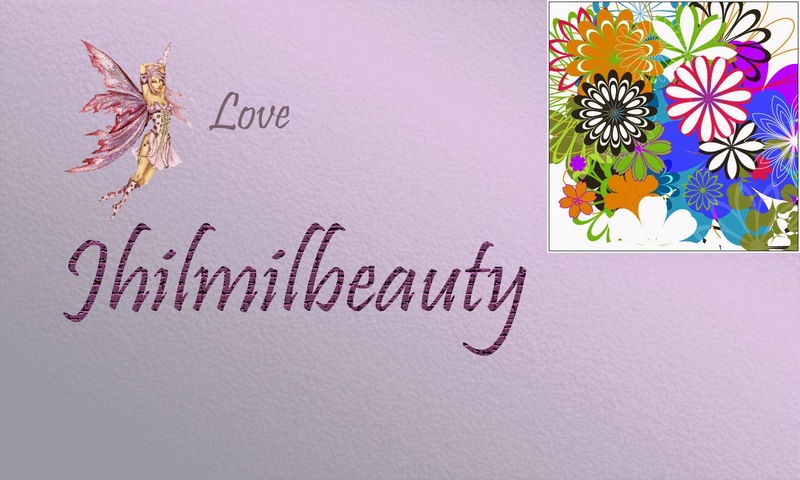 The organization is dedicated to the commitment of quality products and excellent customer service. At the heart of Their success is their belief to develop strong and long lasting relationships with our customers. They work closely with all stakeholders to understand their challenges and how they can combine their skills and resources to achieve a common goal: improved healthcare to all. 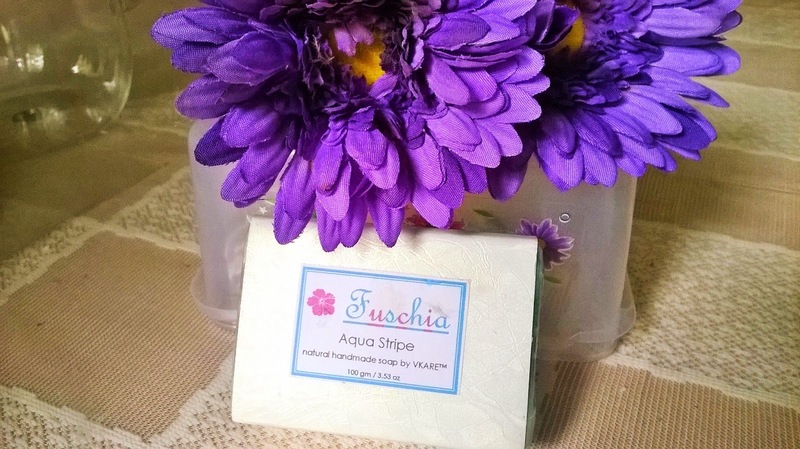 The values on which the company was founded have always inspired growth and will continue to do so in times to come. 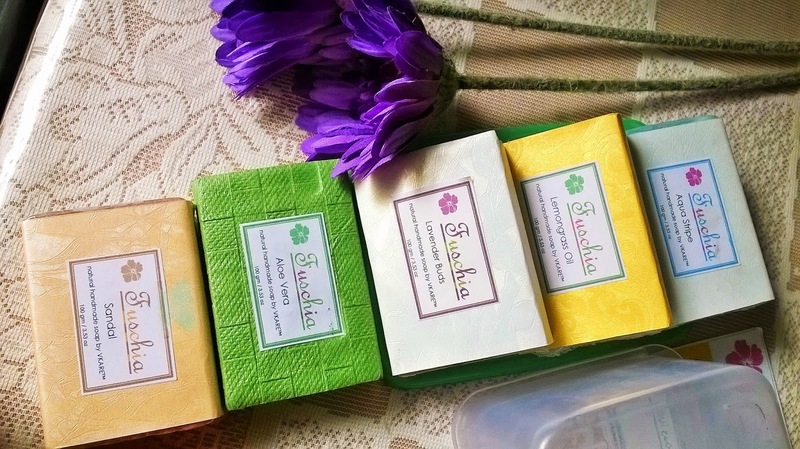 I was overwhelmed by the brand's generosity when they sent me a box full of heavenly scented soaps. 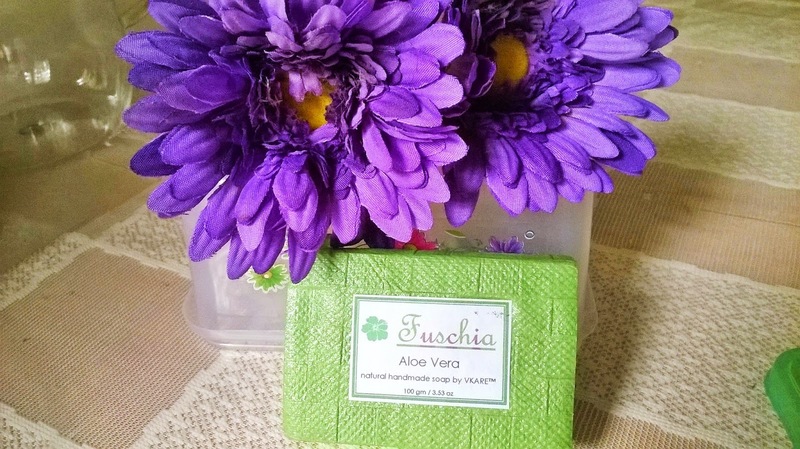 The soaps are handmade, organic and cruelty-free. 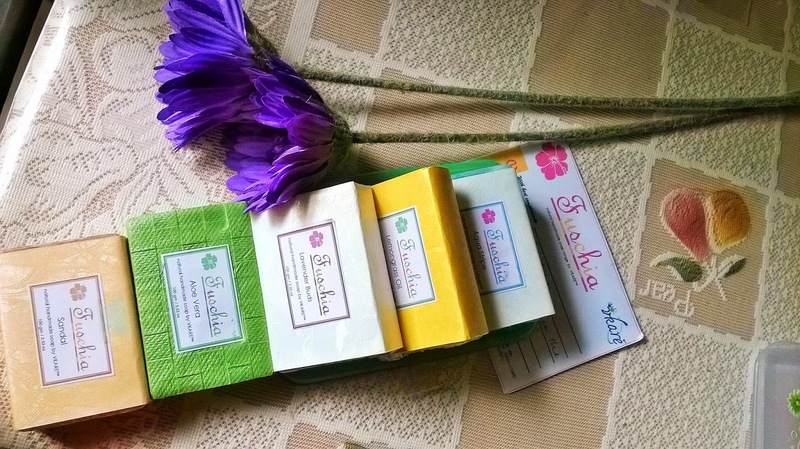 I have received 5 beautiful soaps and here is a brief peek-a boo of those. 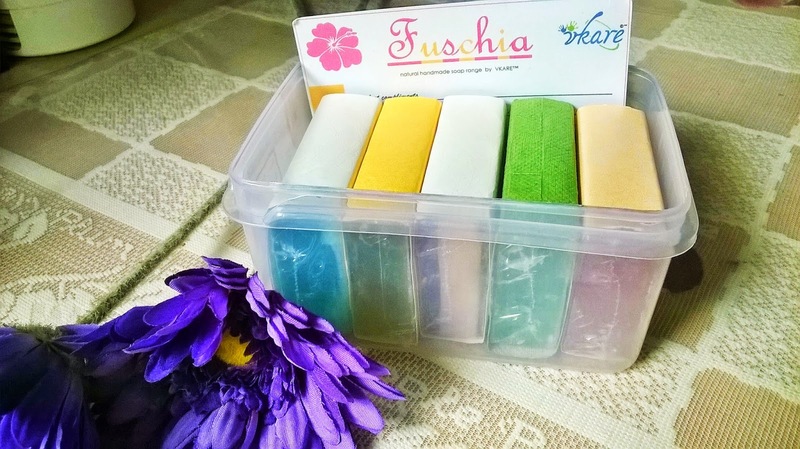 Fuschia soaps are available on almost all major eCommerce Stores like Flipkart, Snapdeal, Infibeam, Rediff, Amazon, Shopclues, Tradus.There are combos of multiple soaps available too. 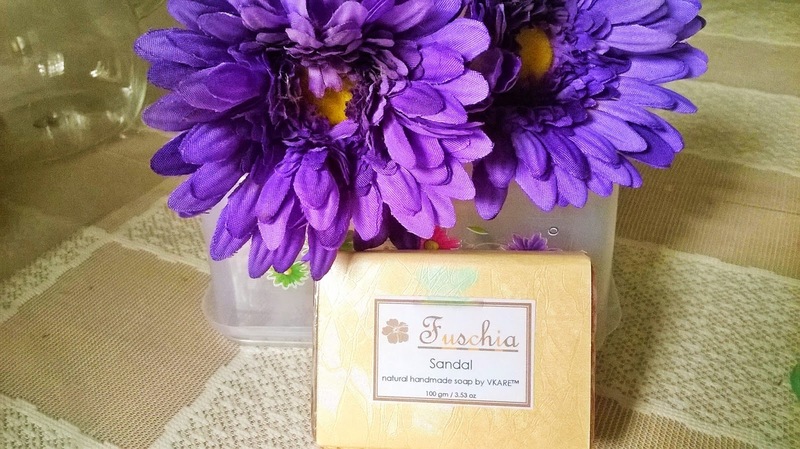 Customers can also purchase from our own eCommerce store www.vkarebiosciences.com. 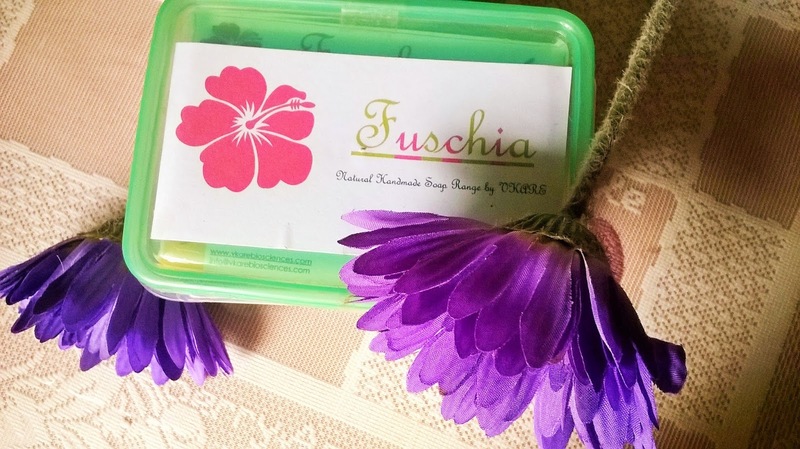 For customers in Delhi-NCR, they can avail the facility of Call/SMS/Watsapp to order and Fuschia could show them the product at their place and they pay directly to the sales team via Cheque/Cash.